In conclusion to our three-part blog 6 Steps to Improving Your Credit after Bankruptcy, here are some final things that you can do when you are ready to start boosting your credit after a bankruptcy case. Step 5: Try relying on cash (instead of credit) for your daily spending needs. While these tips can help you improve your credit after bankruptcy, if you have any questions about your case, contact Arthur Lindquist-Kleissler. Reducing your overall spending (as financial experts have found that people who use cash instead of credit are generally more attentive to how much they spend and, consequently, they tend to be more critical of the types of purchases they make). Step 6: Regularly check your credit report. Making it a habit to thoroughly check your credit report every six months to every year is a good financial practice to get into. While this habit can be crucial to identifying when you may have been the victim of identity theft, it can also be essential to determining when mistakes on your credit report may be impacting your credit. For instance, debt that should have been discharged through your bankruptcy case may still be listed on your credit report. 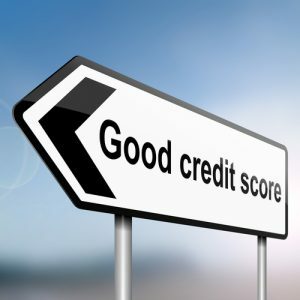 When this happens, making the extra effort to get these mistakes fixed can only improve your credit and your financial standing in general. For more than 34 years, Mr. Lindquist-Kleissler and the other legal professionals at Lindquist-Kleissler & Company, LLC have been providing both individuals and businesses with the highest quality of legal services when it comes to debt relief and bankruptcy. From simple to complex bankruptcy cases, Mr. Lindquist-Kleissler can always be trusted to maximize utilization of Colorado Bankruptcy Law to effectively guide his clients through bankruptcy and help them achieve the best possible outcomes to their cases.